Using native plants in your garden means you’ll rely less on invasive or hard-to-maintain plants. When planning your garden, you don’t have to exclude all non-native plants, but choosing native plant species has many environmental benefits. Native plants have adapted to the local climate here in Massachusetts and can withstand the hot and cold seasons. Another great benefit of native plants is their hardiness toward the local insect population. They have developed defensive measures against pests that non-native plants lack, meaning they won’t need as many organic pesticide treatments. If you don’t focus entirely on native plants, that’s okay! There are plenty of species of non-native plants that are beautiful and non-invasive. As you research, you’ll find that not only do plants have bloom times throughout the year, they also have varying interests, including colorful bark, berries, and smell. Keep plants that bloom at the same time in close proximity to create beautiful focal points in your yard. Depending on the time of year, these focal points have great functionality. For example, keep those summertime and early fall blooms close to your backyard entertaining area for sweet-smelling BBQs and outdoor parties. When you have a year-round garden, the variety of plants and the different kinds of care they need can be difficult to keep track of. Creating a gardening blueprint of sorts can aid in knowing which plants need more water, when plants require trimming, or if more fertilizer will be needed later in the season. Some plants thrive in full sun while others would wither under the sun’s rays if exposed all day. Especially for larger gardens, using a landscape designer can help make plant selections easier and ensure a successful start to your year-round garden. Check out our post on coordinating bloom times in your garden for more tips on setting up a year-round garden and a list of plants that bloom during different seasons. Physocarpus opulifolius - This member of the rose family is also called Eastern Ninebark. It blooms mainly in June and has white and pink flowers. 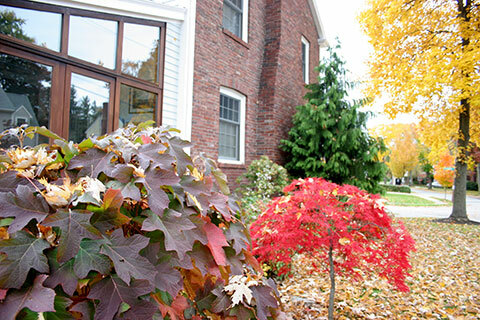 In the winter, its pretty red branches and tan bark add great color to any landscape. Sambucus canadensis - The American Black Elderberry is a large modified native shrub that blooms with pleasant smelling white flowers in June and July. It’s derived from the Sambucus canadensis. The flowers become clusters of berries in late summer that are enjoyed by local wildlife. Oxydendrum arboreum - Also known as the Sourwood tree, it is a mid-summer bloomer (mid-July into August) and has beautiful, wispy flowers. In the fall, it is the first to change its leaves’ colors, often having rich reds, yellows, and purples all on a single tree. 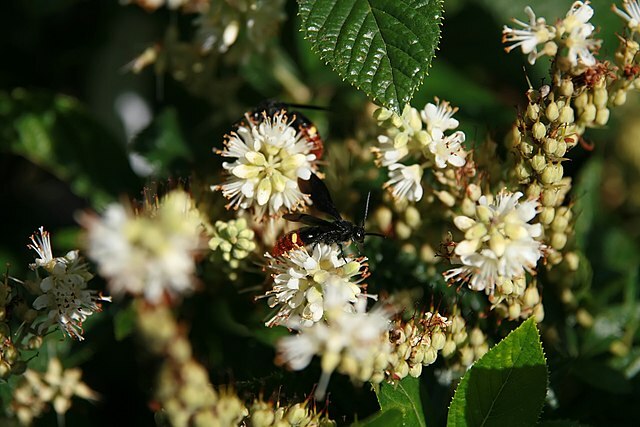 Clethra alnifolia - Commonly known as sweet pepperbush, the clethra plant flowers in late July and August and has an incredible spicy scent. Flowers are usually white, but can be pink, and are a great attraction for hummingbirds. Potentilla shrub - Depending on the variant of Potentilla shrub that you choose, bloom times are anywhere from April through December. These shrubs add great texture and color to any garden and attract many pollinators. A focus on springtime blooms will lead to a single season of blooms in your yard, which means you miss out on tons of potential colors and scents. 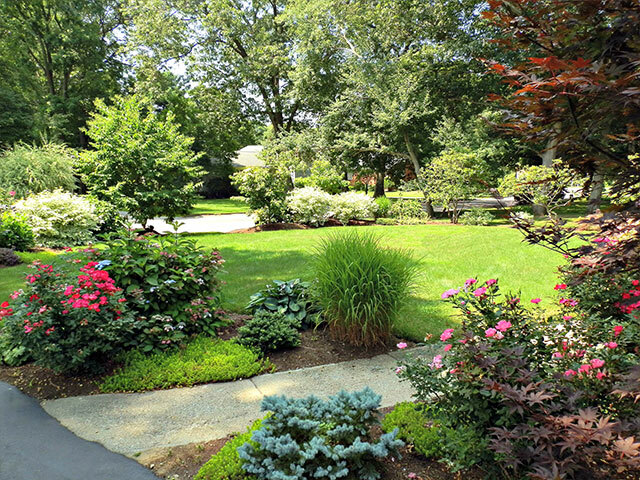 If you are struggling with coordinating a plan for year-round blooms in your yard, contact the experts at Moodscapes today to bring inviting colors and smells back to your garden for the rest of the year.